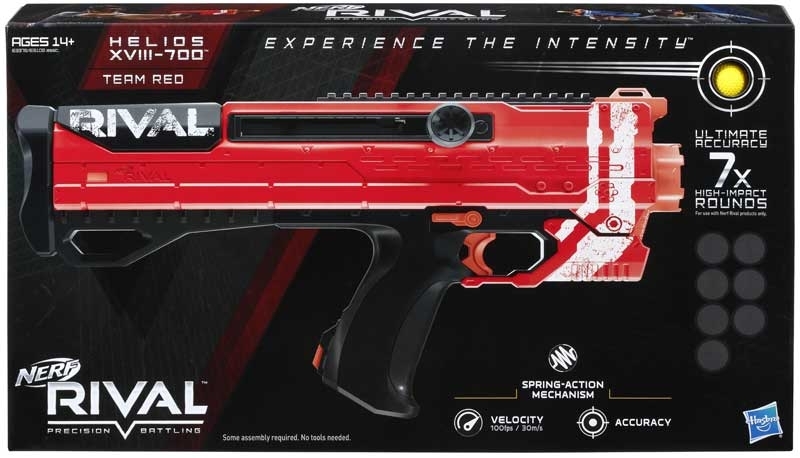 Go into battle with the bolt-action Nerf Rival Helios XVIII-700 blaster! 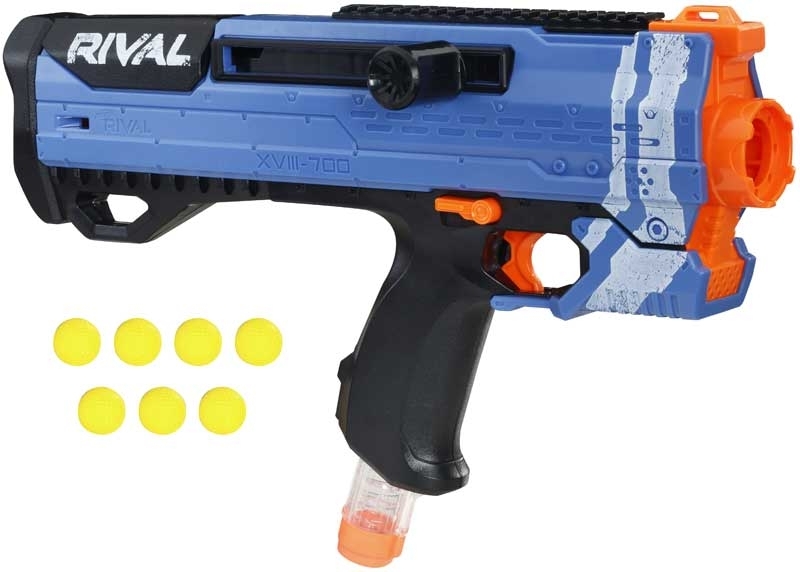 Pull back the bolt to prime the Helios XVIII-700 blaster and unleash rounds at a velocity of 100 feet per second (30 meters per second). 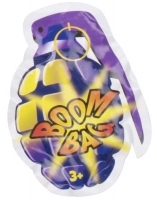 The blaster has a spring-action mechanism and includes an easy-loading, 7-round magazine and 7 high-impact rounds. 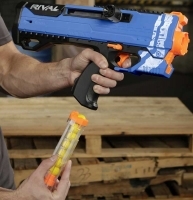 This Nerf Rival blaster also has a trigger lock to prevent the blaster from being fired accidentally, a ready indicator to show when the blaster is primed, and a tactical rail to customise with Nerf Rival gear and accessories (each sold separately). 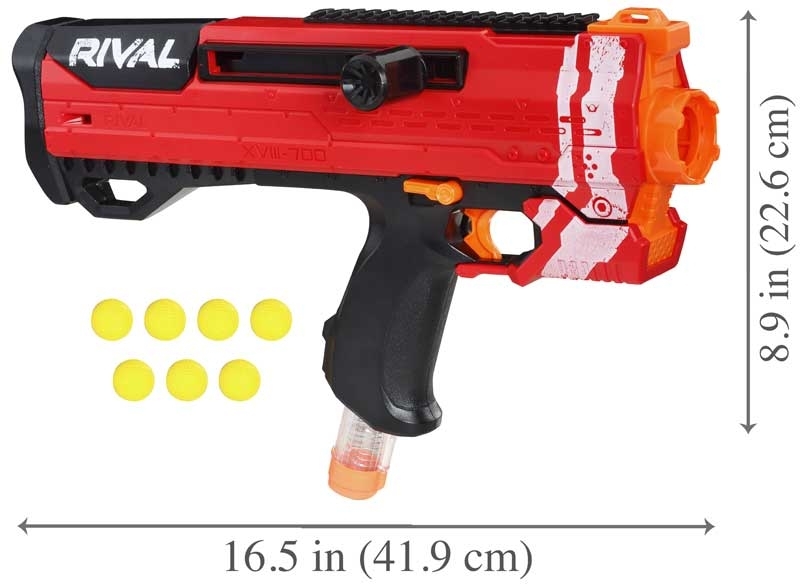 The bolt is removable so battlers can place it on either side of the blaster to customise for right-handed or left-handed battlers. 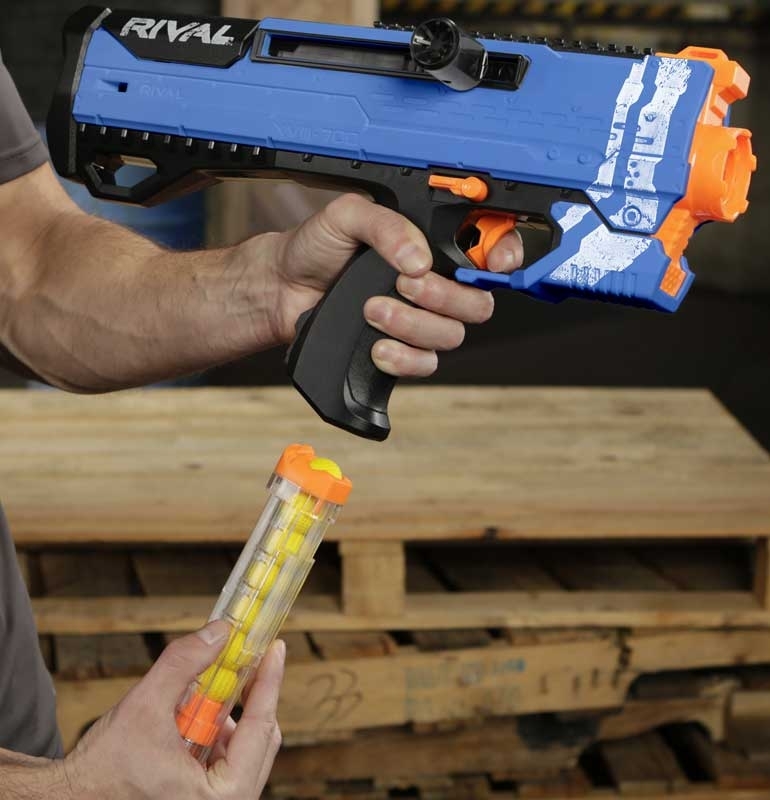 Experience the intensity of Nerf Rival battles with the Helios XVIII-700 blaster! 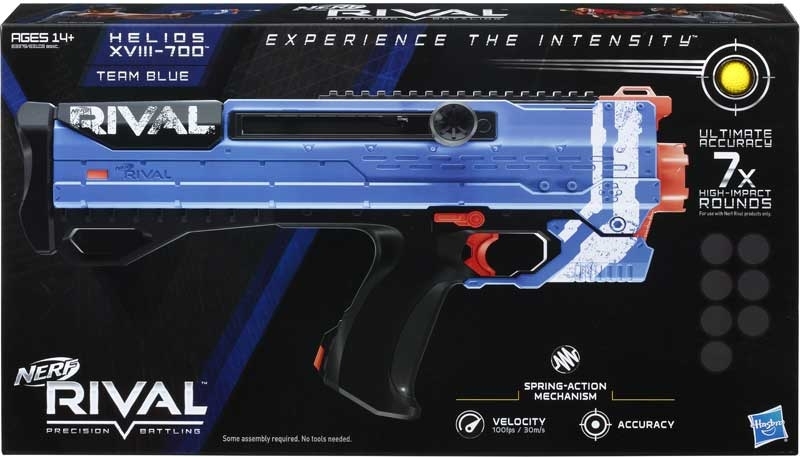 NERF Rival is only being launched in specific markets. 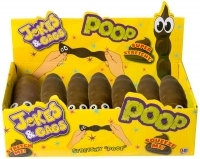 NDA Toys takes no responsibility for the distribution of NERF Rival products outside of the intended markets and you are strongly recommended to seek and take legal advice before importing these goods outside of the UK.